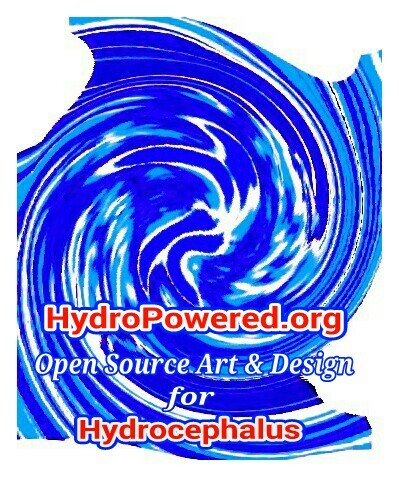 The new HydroPowered.org web site has been updated to enable open source sharing of art & designs for persons & families impacted by hydrocephalus. Together with its HydroPowered.org Facebook group, followers will be able to upload and share their art & designs in an “open source” type setting. The second goal or mission, Dolle says, is to raise $100M for new “open source” technology solutions in the care and treatment of hydrocephalus. He says hydrocephalus today remains 25 years behind in comparative technological advances, and he believes this open source concept is the best way to move forward with innovation. Hydrocephalus is also the leading neurosurgical condition in children. The current status of surgical outcomes with hydrocephalus today with CNS shunts is entirely unacceptable! With these funds and new open source initiatives, we believe we can forever change the care and treatment of hydrocephalus.